A.M.Nirmala, P.Sasikala, "Source Location Privacy Anonymity using Framework in WSN" SSRG International Journal of Computer Science and Engineering 3.11 (2016): 18-23. A.M.Nirmala, P.Sasikala,(2016). Source Location Privacy Anonymity using Framework in WSN. 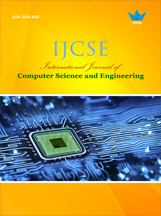 SSRG International Journal of Computer Science and Engineering 3(11), 18-23. With the pervasiveness of smart phones and the advance of wireless body WSN, mobile location, which extends the operation of Location provider into a pervasive environment for better health monitoring, has attracted considerable interest recently. Health Care is very important factor in life, may be due to unexpected changes in health May causes some health problem in our daily life like sudden hardtack or occurrence of accidents, due to sudden occurrence of problem in health it may leads to serious conditions. To reduce this problem our paper is going to present a mobile itself a plenty of applications as repository, on adding the new health care application in mobile, it provides the user knowledge of disaster management of health problems. The system further integrates with GPS, Google Search and Google Map functionalities to facilitate the user to find all hospitals near to his/her current location including address, phone number, directions to the selected hospital and street view of the selected hospital. 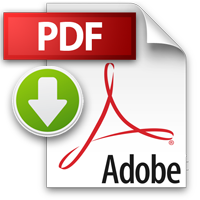 S.Divya and P.Purusothaman,’’Predefined Trajrctory Algorithm for Mobile Anchor Based Localization in Wireless Sensor Network”International Journal of Computer Science and Network Security,2015, Vol 1,pp.71-76. Prof. Shubhangini Ugale, Ms. Poonam B.Kshirsagar,Mr.Ashwin W. Motikar,”Route Planning Algorithm for Localization in Wireless Sensor Network” International Journal of Advanced Research in Computer and Communication Engineering,2015,Vol 4, Issue 6,pp.526-528. P. Sangeetha and B. Srinivasan,”Mobile Anchor Based Localization Using PSO and Path Planning Algorithm In Wireless Sensor Networks”International Journal of Innovative Research and Advanced Studies,2015,Vol 2,Issue 2,pp.5-10. Anupnam Kumar.”Localization Using Beacon Points In Wireless Sensor Network”IJSEC,2015,pp.1259-1261. Javad Rezazadeh, Marjan Moradi, Abdul Samad Ismail, Eryk Dutkiewicz,”Superior Path Planning Mechanism for Mobile- Beacon Assisted Localization in Wireless Sensor Network”IEEE Sensors Journal,2014,pp.1-13. Ms. Prerana Shrivastava, Dr. S.B Pokle, Dr.S.S.Dorle,”An Energy Efficient Localization Strategy Using Particle Swarm Optimization in Wireless Sensor Network,International Journal of Advanced Engineering and Global Technology,2014,Vol 02,Issue 19,pp.17-22. Guangjie Han, Chenyu Zhang, Jaime Lloret, Joel J. P. C. Rodrigues,”A mobile Beacon Assisted Localization Algorithm Based on Regular Hexagon in Wireless Sensor Network, The Scientific World Journal,2014,pp 1-12. Chia-Ho Ou, Wei-Lun He,”Path Planning Algorithm for Mobile Anchor Based Localization in Wireless Sensor Network, IEEE sensors Journal,2013,Vol 13, No 02,pp.466- 475. Harsha Chenji,, Radu Stoleru,”Toward Accurate Mobile Sensor Network Localization”IEEE Transaction on Mobile Computing,2013,Vol12,No .6,pp.1094-1106. Mansoor-ul-haque, Farrukh Aslam Khan, Mohsin Iftikhar,”Optimized Energy-efficiet Iterative Distributed Localization”IEEEInternational Conference on Systems, Man, and Cybernetics,2013,PP.1407-1512. P.K Singh, Bharat Tripathi, Narendra Pal Singh,”Node Localization in Wireless Sensor Network” International Journal of Computer Science and Information Technologies,2011,Vol.2(6),pp.2568-2572. Zhang Shaoping, Li Guohui, Wei Wei, Yang Bing,”A Novel Iterative Multilateral Localization Algorithm for Wireless Sensor Nerwork” Journal Of Networks,2010,Vol. 5,No.1,pp.112-119. W.-H. Liao, Y.-C. Lee, S.P. Kedia,”Mobile Anchor Positioning for Wireless Sensor Network”The Institute of Engineering and Technology,2010,Vol.5,Issue.7,pp.914-921. Frankie K. W. Chan, H. C. So, W.-K. Ma,”A Novel Subspace Approach for Cooperative Localization in Wireless Sensor Network Using Range Measurments”IEEE Transactions On Signal Processing,2009,Vol.57,No.1,pp.260-269. Kuang Xing-hong, Shao Hui-he,”Distributed Localization Using Mobile Beacons in Wireless Sensor Network”The Journal Of China Universities of Post and Telecommunications,2007,Vol.14,pp.7-12. Location emergency, opportunistic computing, user-centric privacy access control.